Your really all the sweetest.. I got so many sweet comments. 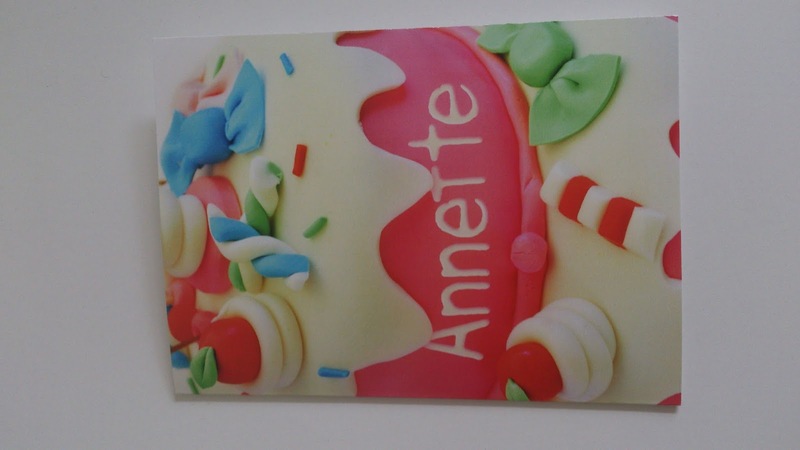 I had a wonderfull birthday, also needed to work, had a wonderfull time at work. But not only sweet comments, mails and tweets I got. A week before my B-day I got a package from Valérie.. But is was worth the wait!! 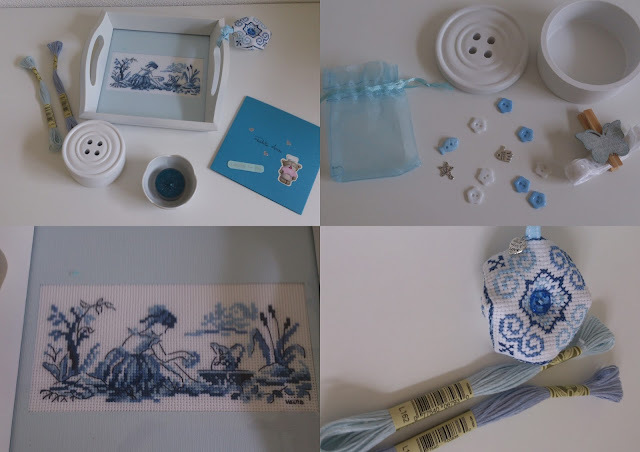 Sweet Valérie knows I love white.. she is collecting white things to send me, but also wanted to make me something..
Look how beautifull it is made. And the little biscornu.. so sweet..
then she also added wonderfull goodies. And making it open just after midnight and had such a great talk.. made my day the best start..
Do I love white and hearts???? Thank you so much Saskia. A lot of goodies, but not only for me.. also for my kids. Ingrid, your really too sweet. She made me this wonderfull heart from HVK, I love it.. I thought this was the first heart from a big line of many hearts!! and that heart fabric.. really wonderfull. 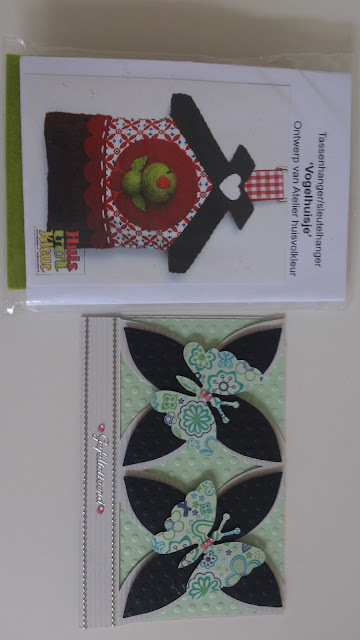 Sweet Angelè send me this beautifull heart card with a package from HVK..
mmmm, do I like HVK.... hihi.. I love HVK.. Thank you so much Angelè so sweet. Also my Grandma brought me a visite. She made me this wonderfull knitted scraf from ribbon.. yes from RIBBON.. It's something new, I haven't seend it.. but on my FB I got comments, that more seen it. 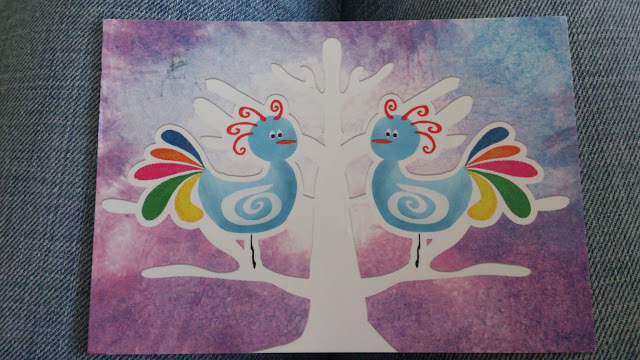 From Ellen, I got this wonderfull card, thank you so much. A card from sweet Roos, who just became a Grandma for the first time!!! From another Ellen, I got this wonderfull gift today. And a good one also. 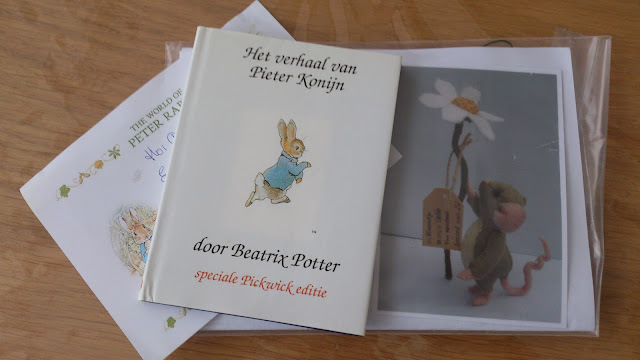 Some of you know her a Atelier Duimelotje, end is at the moment working on a wonderfull serie of a felt pieces from Peter Rabbit. There is the book from. 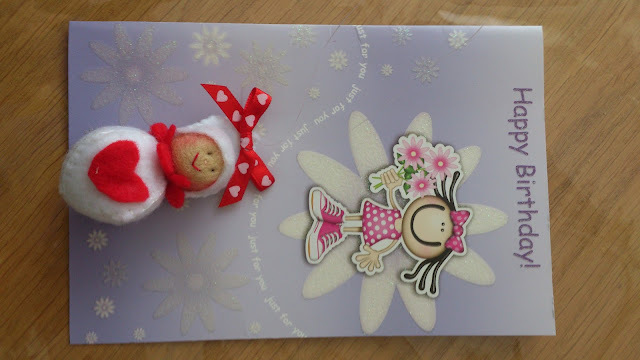 The package is one of her newest design 'A flower specialy for you'. She has made 100 of those lucky dolls for charity. 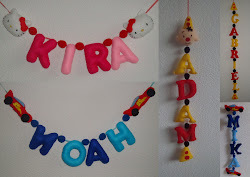 She is also a wonderfull crafter. How is that for a biryhday girl like me..
And I have been told a few more packages are on there way to me.. So what will the maillady bring me tomorrow??? 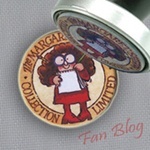 I wanne thank you all for your lovely comments on my Give-away..
Take a change it's still open till the 31th of August. 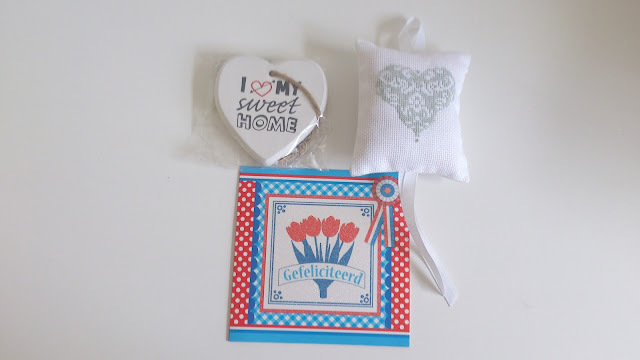 Wat een leuke kadootjes heb je gehad. En echt heel veel. Je bent dus echt jarig geweest. Geniet lekker van al je mooie kadootjes! 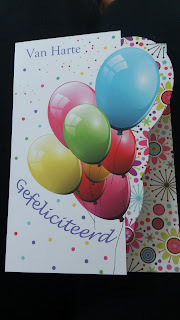 Wat ben je heerlijk verwend!!! Annette wat ben je heerlijk verwend. Niet alleen jij maar de kinderen ook. So many lovely gifts! You really know how to pick your friends! aww so many cute gifts...they all so cute. 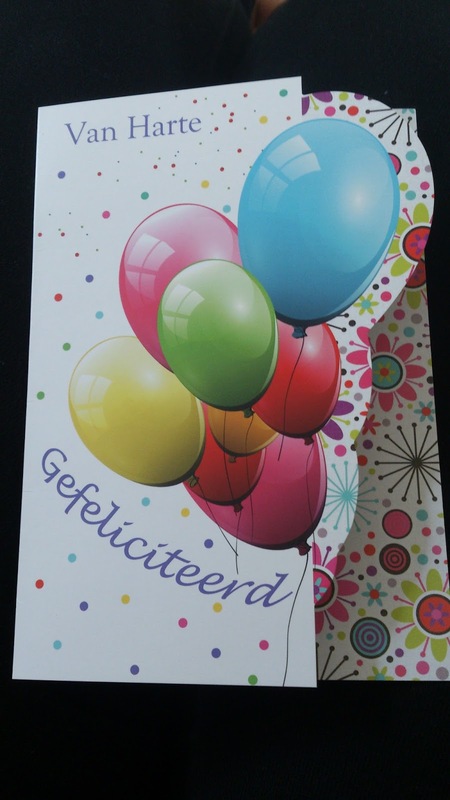 Heerlijk om zo verwend te worden! En weet je wat, je hebt het verdient! So many cute gifts! You have wonderful friends. So many gifts!!!! All beautiful! 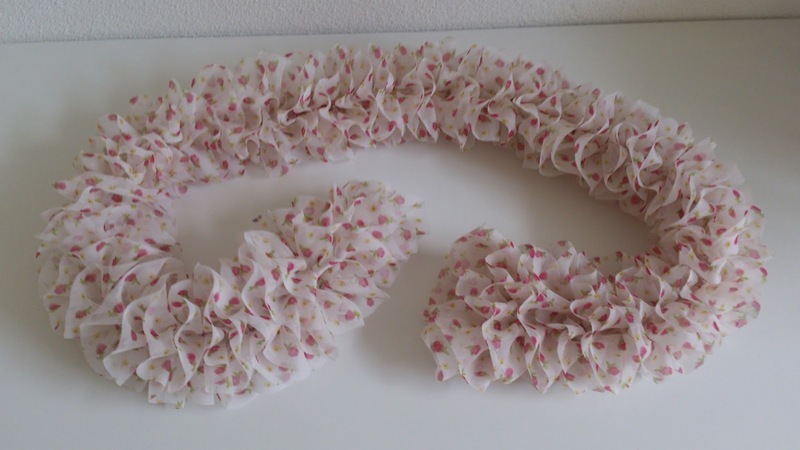 The scarf from you grandma is really wonderfull! And you have received so many wonderful gifts!! Lovely! Friends are the best, right? Holy smokes! 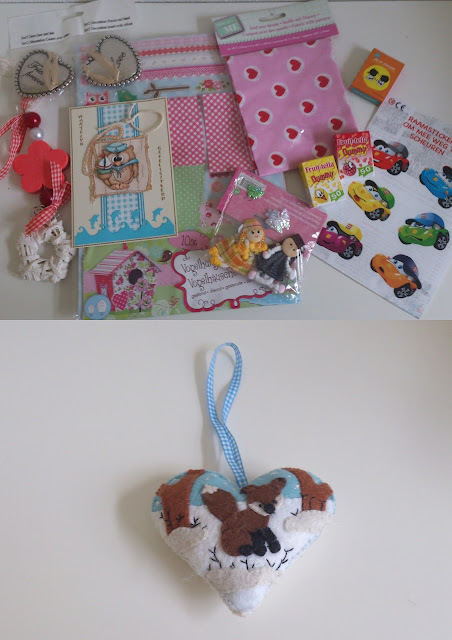 Look at all those lovely gifts :) I saw what Valerie make you on her Blog. She did a brilliant job! All the gifts are lovely and x-stitched tray is a special treasure. Oh my goodness, what an amazing surprise for you - all those gorgeous gifts and cards :) I love all the white pressies! !